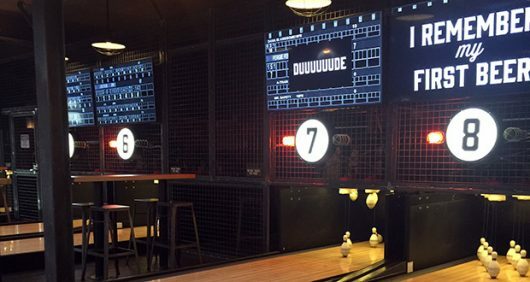 The newest addition to Columbus’ hybrid bar and arcade collection brings bowling, old-school entertainment and vintage design. 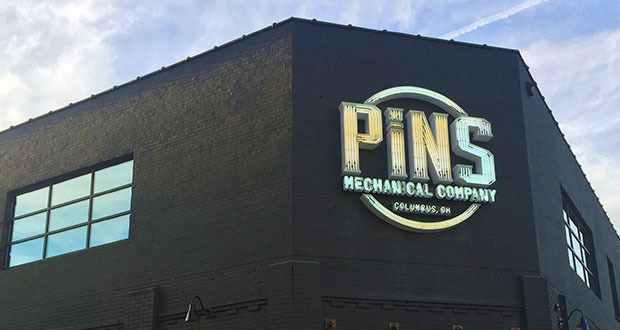 Pins Mechanical Company, which opened on Sept. 23 in the downtown area, is the latest project for entrepreneur Troy Allen, owner and founder of Rise Brands. The company is also responsible for 16-Bit, a bar and arcade with a similar concept. The bar-arcade scene continues to grow in Columbus, and these gathering places specialize in serving drinks along with providing vintage consoles and games. With no bowling alleys located near campus, Pins also offers the East Coast tradition of duckpin bowling, which is a style of bowling that involves smaller pins and a smaller but heavier ball. Other games include pinball, ping-pong, shuffleboard and Jenga. 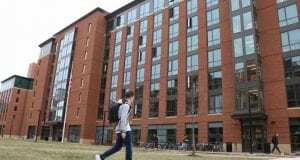 The company currently owns three 16-Bit locations in Cleveland, Columbus and Cincinnati, , and plans to expand the Pins concept to a second location in Dublin, Ohio in 2017. Along with a full bar, the place features its variety of games at no cover charge, but operate on a pay-to-play system. The bar is home to craft beer, bourbon and whiskey. It also offers two non-alcoholic drinks on tap, a craft root beer and craft orange soda, as well as two non-alcoholic cocktails and punches. Pins also has Four Square on its patio and holds a tournament every Wednesday at $5 to enter. Although Pins does not offer a food menu, it has Por’ketta, a food truck, permanently parked on its patio. It also includes two other spots where different food trucks can park and sell their food to patrons. The location was most recently home to a National Tire & Battery shop, and originally to a Columbus tire company. The space is decorated with subway tile, rustic wood and some original accessories, like a garage door. Van Hemert said that the space reflects its original structure. Chester Harding, a host at Pins, said that the atmosphere always garners reactions from guests. “I really enjoy greeting people and showing off the place when I get a chance,” he said. The bar is family-friendly and open to all ages until 8 p.m. every day, but afterward requires patrons to be over 21 years old.